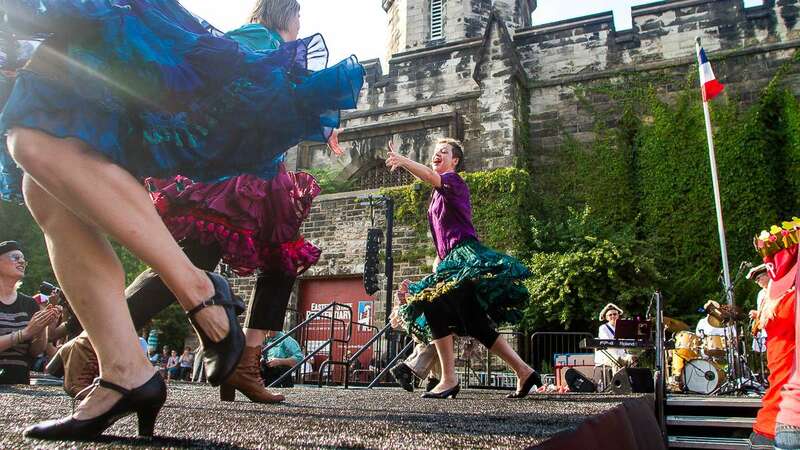 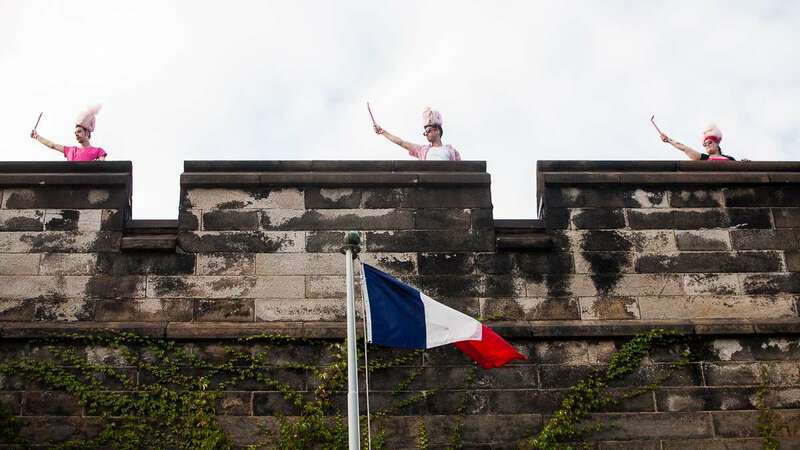 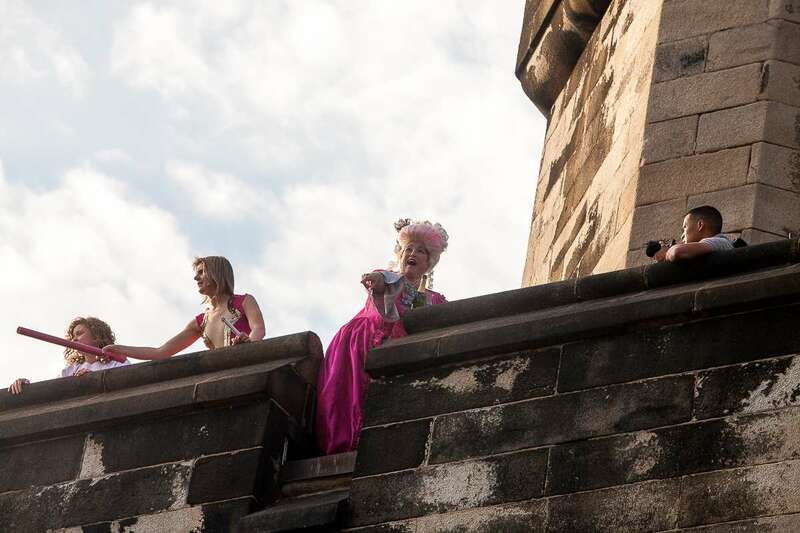 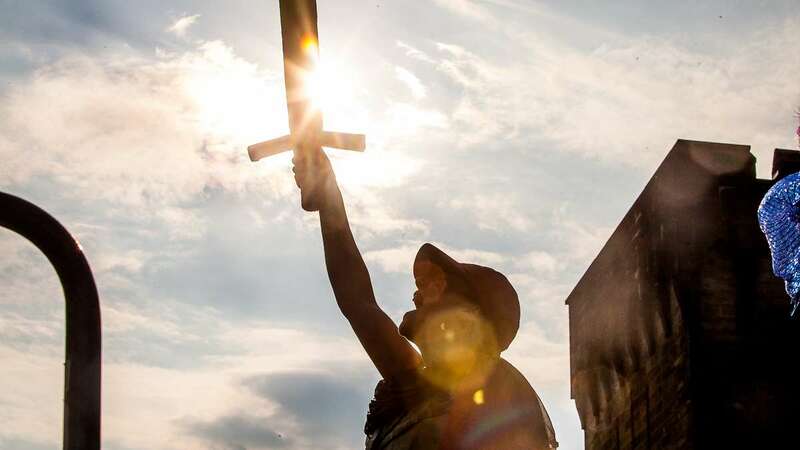 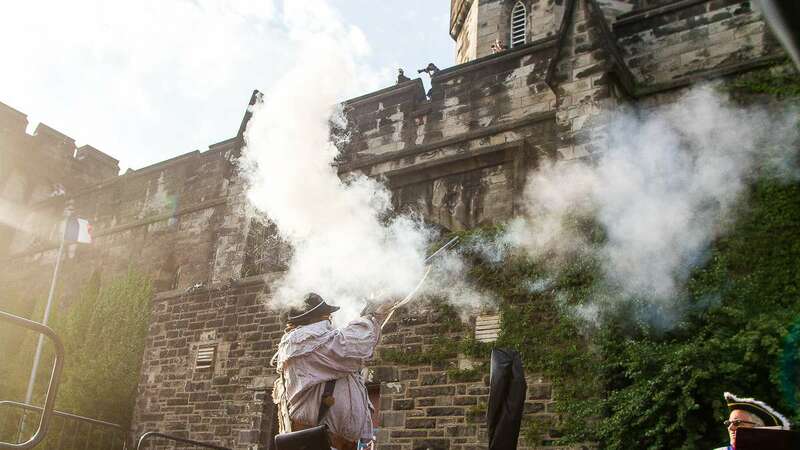 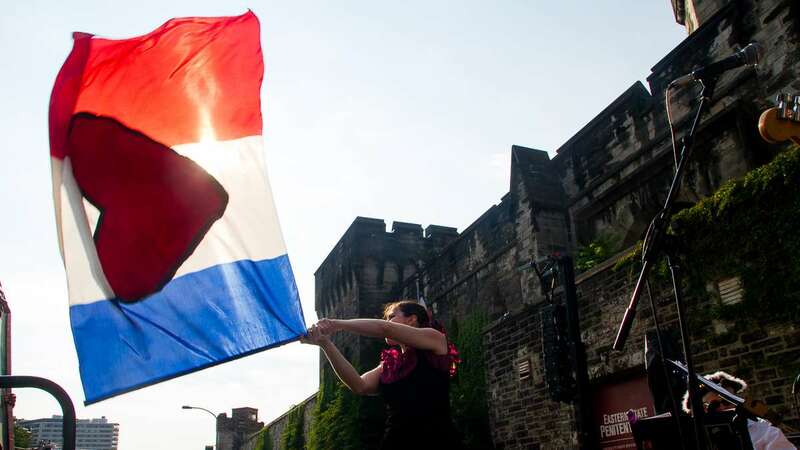 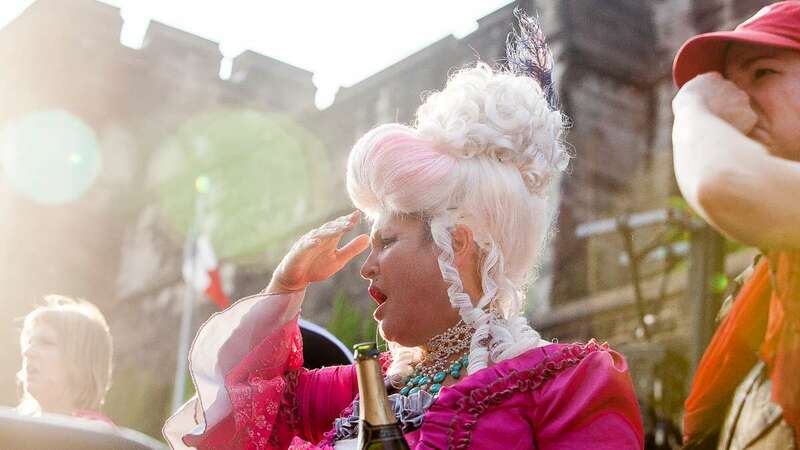 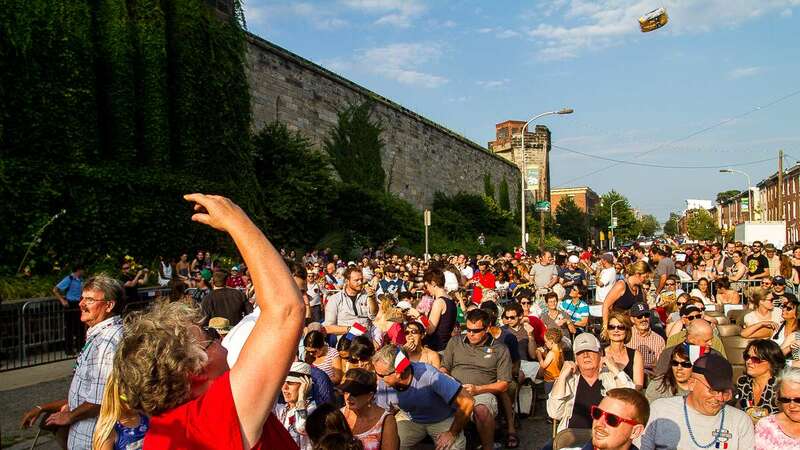 Tastykakes and French flags were flying at Eastern State Penitentiary Saturday for the the annual reenactment of Bastille Day. 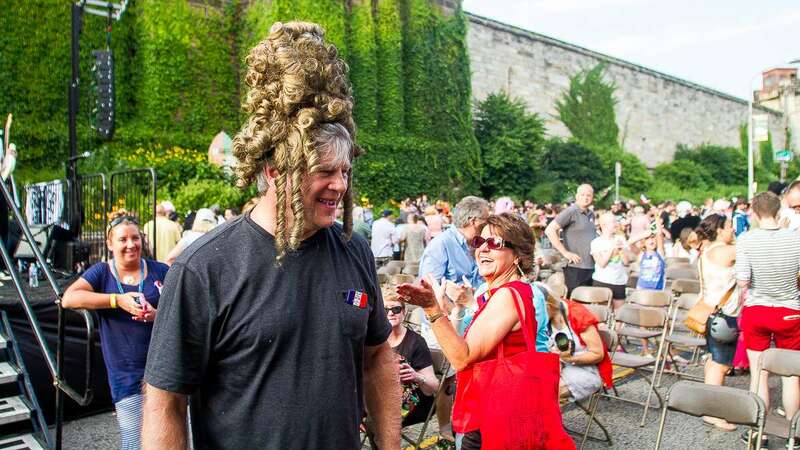 John Jarboe, portraying Edith Piaf, led the performance, which took satirical jabs at current events such as the Hobby Lobby Supreme Court Case and the underfunded Philadelphia School District. 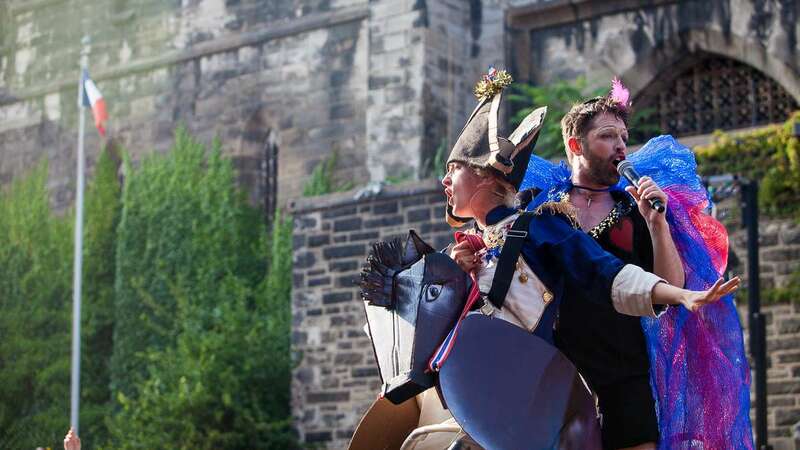 Other French historical figures, including Napoleon Bonaparte, Joan of Arc and, of course, Marie Antoinette, entertained thousands of audience members in both the proletariat and bourgeoisie sections. 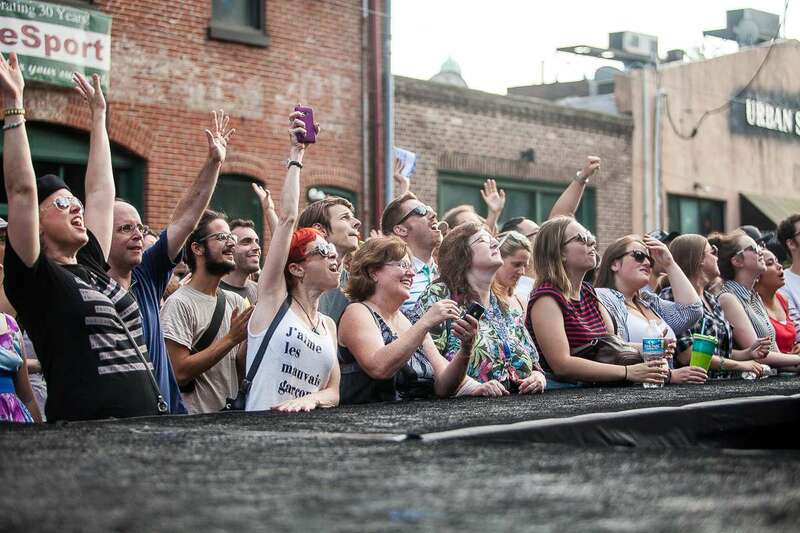 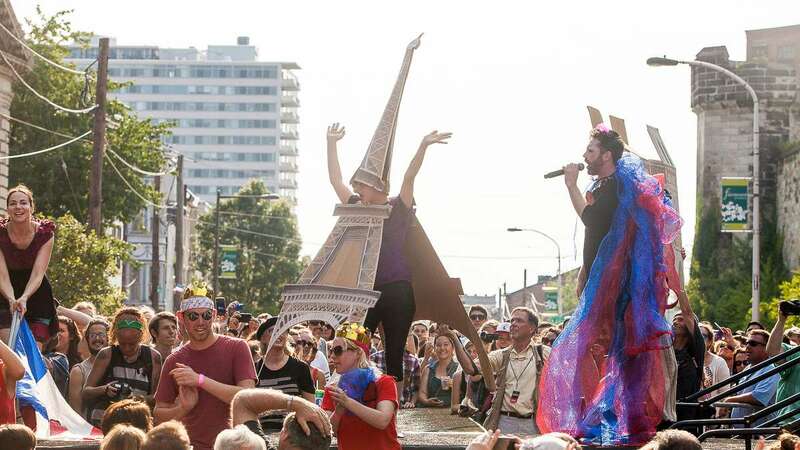 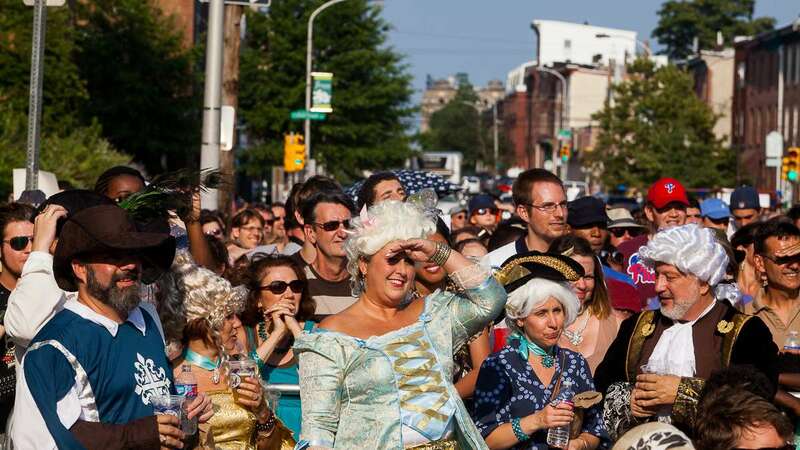 The 20th annual Bastille Day celebration is one of the largest free theatrical performances in the city, though admission to the bourgeoisie section was not free. 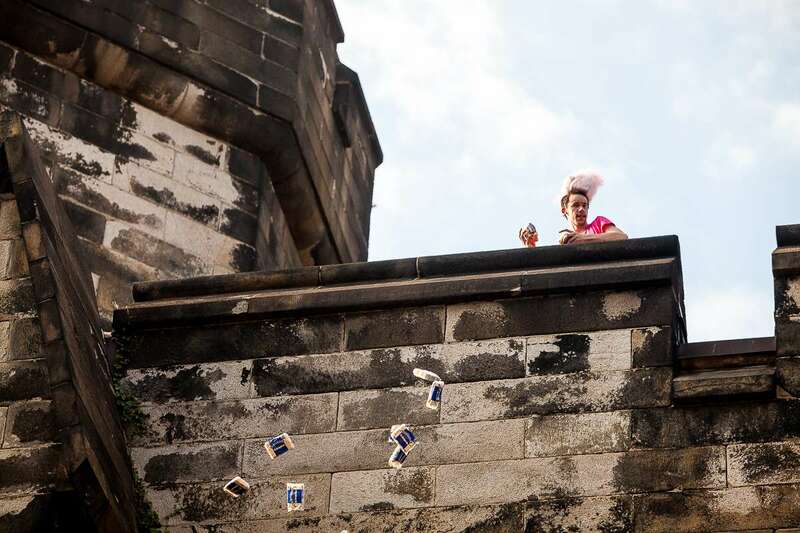 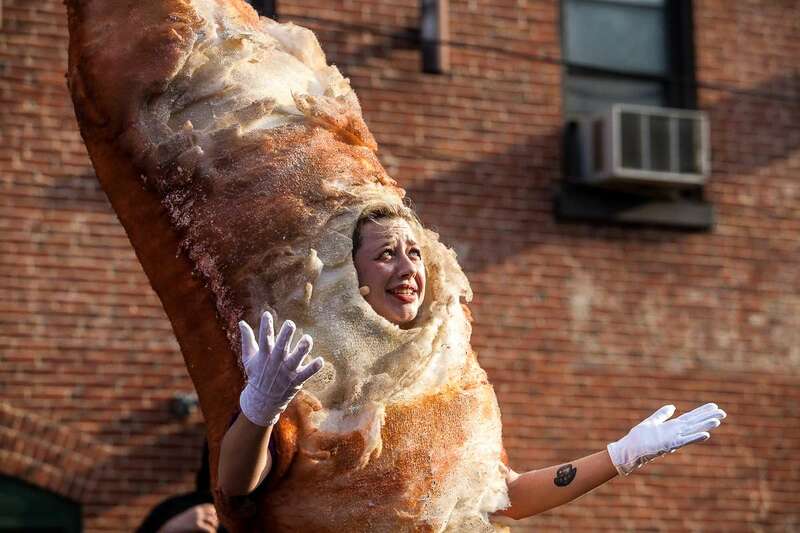 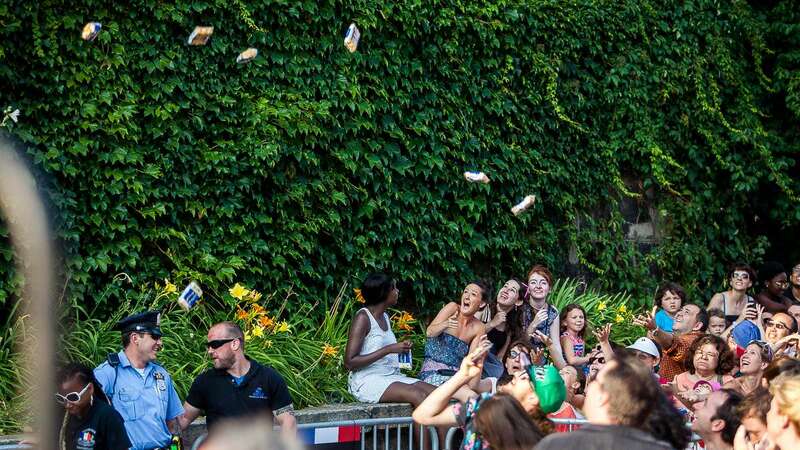 An estimated 3,000 Butterscotch Krumpets rained down from the top of Eastern State Penitentiary’s walls after the infamous words from Marie Antoinette, “Let them eat Tastykake,” were shouted by actor Terry McNally. 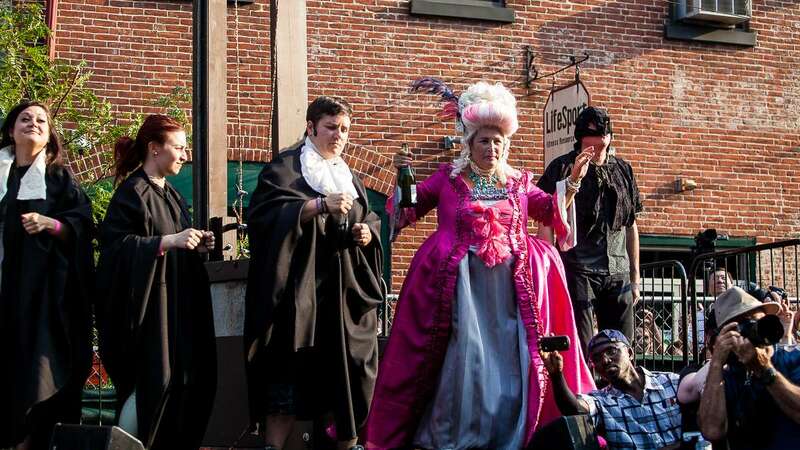 In the end, the queen was spared decapitation and was pardoned by actors playing U.S. Supreme Court Justices Ruth Bader Ginsburg, Sonia Sotomayor and Elena Kagan.